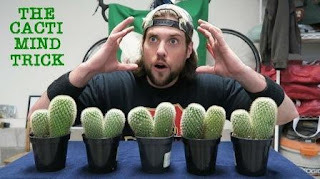 Kevin Strahle a.k.a L.A Beast is a professional competitive eater and owner of YouTube channel Skippy62able. His net worth has rapidly risen in recent weeks even as his popularity soars. L.A Beast is based in Ridgewood, New Jersey. He once moved to Los Angeles, California but has since relocated back to his home town. L.A Beast hold the world record for most chicken nuggets eaten in 3 minutes. L.A Beast holds the world record eating the most powdered donuts in 3 minutes. He broke the world record when he ate 121.90 grams of ghost peppers in 2 minutes. He recently drank a bottle of maple syrup in less than 11 seconds, breaking the world record. In 2015, Strahle rallied his fans to engage Pepsi on its official social accounts, requesting them to revive the once popular drink via #BringBackCrystalPEPSI hashtag.What followed was over 30,000 signatures on change.org and 15 billboards in Los Angeles. One year later the company released Crystal Pepsi in a limited quantity sweepstakes. Skippy62able YouTube channel is one of the most noteworthy subscribed channels having 1,861,105 subscribers as of mid August 2017 and gained 276,638,735 video views since it launched in August 2007. The channel has obtained 5,683,350 views in the last month across its 312 videos, which could translates to estimated revenue of $80,000 in the next twelve months. Skippy62able is on an upward trend in terms of subscriptions, having acquired 27,264 new subscribers in the last 30 days.